I am sure that every single human being is at least once in their lives: anxious, stressed, nervous, panicking, or simply said being in a state of distress. How wonderful does it then sound to be delighted! Being care free, relaxed, empowered and ready to take on the next challenge? There are many self-help books about it, there are many YouTube videos about it, there are many programs, meditations, yoga and the list is very long. However, most of these cost (a lot) of money. There is no win-win situation as there are enough people who make profit from someone else’s distress. Of course there also are plenty who are sincere in helping another! I would like to share some of my experiences. Maybe it is a bit outside the scope of this blog, but still, I am a human being too. I have had moments of serious distress, mental illness and I don’t know what. Of course, when you reach that far to the bottom, do seek professional help! During therapy there was some very good advice and one of them was being mindful and being in the moment. She even said that with mindfullness you have to be mindful about it. I know much has been written about mindfulness as well and too bad it became a hype and that it’s commercialized. In essence, as how I understand, a big part of it revolves around the truth and being in the moment. I experienced knowing the truth, knowing and realizing what is happening in that muscle called your brain. Know what goes on in there just like you exactly know when you burned your hand to something hot. Does that solve the problem? No. But when you are able to identify what the problem is then you can do something about it. Often times the solution is within yourself, within your own mind and all you need is a distraction, a positive encouragement, and a feeling of care and safety. A shower can give you all of that and it doesn’t cost anything extra at all! You get up, darn, too late, snoozed too long, and you are in a big rush! Your mind is already at work, school, problems, stress, help!!! Maybe you have kids that are screaming for attention, maybe you are running late for an exam, maybe you have financial worries, basically, anything can negatively occupy your mind. With that chaotic mind. That rushing mind. That restless mind. You grab some clothes. You find your way to the bathroom and in the end you cannot remember whether you washed your hair or not because your mind was totally in another place. Your mind is spinning, occupied, no rest, coffee, kiss your partner and off you go. And of you go, but, in what state of mind? Surely not healthy at all! A shower generally takes about, what, 10 minutes? What if I told you that these 10 minutes do matter that much to feel better for the rest of the day? You can make the choice, no matter what, unconditionally, to take these and maybe only these 10 minutes mindful. Concentrate. Focus. Be in this moment. Put all of your attention only to what happens in those 10 minutes and it will change your day entirely. You get up, realize that you’re late and and and! Breathe….. Calm down, a shower takes 10 min anyway, no harm if it is 2 min longer or shorter, really, no harm. Consciously grab your clothes, look and realize your hand getting them. Walk to the bathroom, see yourself turning on the shower, get under the water and feel. Feel each drop falling on your shoulders, on your hair, and feel them glide off you taking all the distress away. Get the shampoo, or body wash, and feel the bubbles, feel the soap, see the color, and actively smell the smell. Take your towel and feel the water disappearing in it. Feel the towel touching your skin, allow to feel that comfort having the towel around you. Brush your teeth, with attention you put the paste on the brush, and while brushing you consciously imagine how you clean your teeth and have a fresh breath again. Be in the moment, look in the mirror at your hand scrubbing the dirt of. With focus you put your clothes on. Don’t think about anything else but that and only that. Then leave the bathroom and walk through the rest of your morning routine. Now the 10 minutes are over. This shower took the same time but it felt like slow motion. In those 10 min you were actively cleansing yourself. You only thought about that process, the rest can wait. There are no consequences for those 10 min if you don’t think about something else. 0, nothing at all! The rest of the morning is much more relaxed. The drive to wherever you go is more relaxed, whatever you will be doing for the rest of the day is more relaxed. These 10 minutes clears your mind, gives a positive distraction, gives delight, and that makes you feel you can handle the overwhelming with a stronger mind. When things are getting tough you always can think back to that peaceful shower. Again, it doesn’t solve your problems as such but it does free your mind, give more mental space to think and to come to real solutions. Maybe not in a day, not in a week, but over time, yes, you feel ready attacking those problems as you found your comfort under the shower. It took me about a week. I needed a week of focus, of learning how to be mindful and to feel relaxed afterwards. That feeling you won’t get in the first days because your mind is occupied with learning how to be mindful. Give it a go? Try it out? 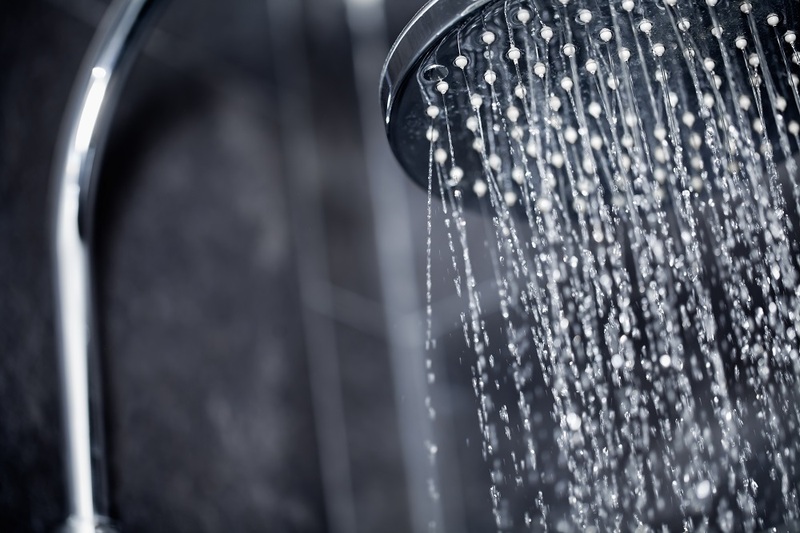 Not only the morning shower, but, every time when you are under the shower? Maybe you feel you need a break, had an argument in the evening and need to calm down. Or maybe you simply need some alone time. Every negative occupation of your mind can be bend by reinforcing a positive experience. A 10 minute shower can give you exactly that. A shower that detox your mind to give rest and peace in return. Maybe only for a while, still, everything is better than nothing! Prev Post: A 100 Followers? Really? WOW!!!! I’ve taken a shower tonight but tomorrow I am totally giving this a try. I have a problem with “being in the now”, my mind is usually days or months ahead. It’s exhausting! If I can reinvent my day in just 10 minutes then game on, even if it takes months. Woohoo seaweed face scrub, I’ll be seeing it in the morning. Yay! Good luck with the seaweed face scrub! Thanks for the like and comment and I hope it will benefit you too!